Drawn Together, an amazing and epic tale of a young boy who connects with his grandfather in a surprising and life-changing way, is told with wonder, joy, and adventure! 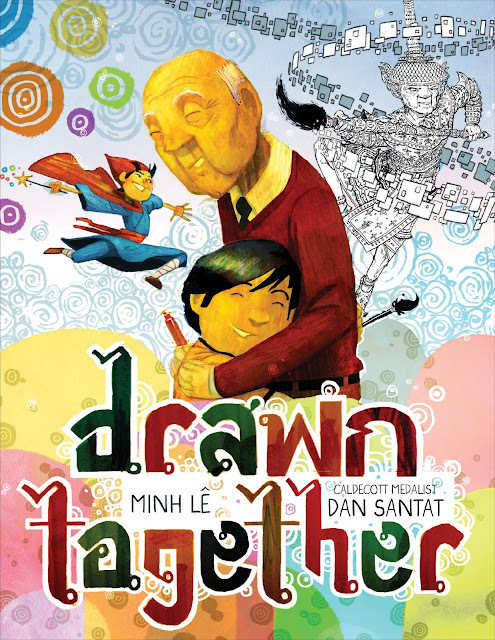 Author Minh Lê and Caldecott-winning illustrator Dan Santat join forces in a heartwarming story of a grandfather and his grandson as they learn to overcome their language barrier through a shared love of art and storytelling. When a young boy visits his grandfather, their lack of a common language leads to confusion, frustration, and silence. But as they sit down to draw together, something magical happens—with a shared love of art and storytelling, the two form a bond that goes beyond words. With spare, direct text by Minh Lê and luminous illustrations by Caldecott Medalist Dan Santat, this stirring picture book about reaching across barriers will be cherished for years to come. In addition to being just a great read, we really value the message that it shares. My own kids are very close to their soon-to-be 90-yr-old grandmothers. While they haven't always understood eachother with words (my kids go on and on about programming on Scratch -- something Grandma wouldn't get), they connect in other ways. She makes them cookies. 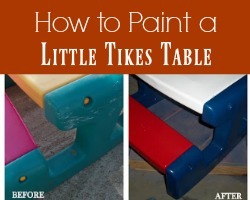 They color her pictures. Their bond is real because they choose to communicate without words! Dan Santat’s illustrations are robust, vibrant, and packed with emotion, a perfect match for Minh Lê's poignant, and ultimately cheerful, story. 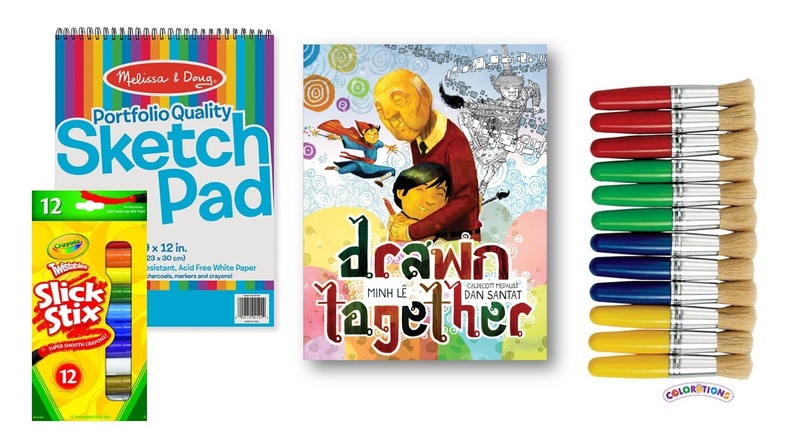 Learn about the Drawn Together art process from Dan Santat himself! You can find this book where your favorite children's titles are sold, as well as at Amazon.com! 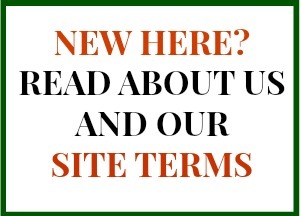 Learn more about it at the official website. Wanna Win? We are giving away one copy of Drawn Together, plus a sketchbook and kid-friendly art materials! To be entered to win, just use the form below by June 15th at 11:59 pm EST. Giveaway open to US addresses only. Prizing and samples provided by Disney-Hyperion.